brider's place: Skechers Go Bionic -- Another home run! In my TGIF post last Friday, I mentioned that I'd be reviewing a new shoe from Skechers next weekend. Well, I got the green light early, so here it is! Some months ago, I made a comment on the Runblogger Site about how I'd love to be a wear tester for Skechers, as I'd already bought a pair of the Go Run model, and loved them right away. Well, it wasn't long before I got an email from Skechers, asking if I would like to join their wear test program. Hm... Let me think on that a bit. I signed a non-disclosure agreement and within a couple weeks I had some new shoes on my doorstep, three different models. Of those, the Go Bionic is the one I'm most excited about, and the one I'm reviewing here. The shoes sent to me are pre-production samples provided to me free-of-charge from Skechers. I was not paid to wear them, nor was I coerced in any way to post a positive review -- all I did was wear the shoes and give them my feedback. The views posted here are my own -- I don't owe Skechers anything, and likewise they don't owe my anything. I was provided with first-run Go Bionics, and there are some differences between these shoes and the ones that are going into final production, which I'll go into later. When I first picked up the Go Run in a Skechers store, I was shocked at how light they are. They felt like racing flats in my hand. And that lightweight feel remained on my feet. The Go Bionic is even lighter -- my samples are almost two full ounces lighter than the Go Run, at 5.75oz (by my digital kitchen scale). Granted, my Go Runs are size 10.5, and the Go Bionics are a size 10 (and both fit perfectly). But with all this lightness, it doesn't skimp at all. I'll start from the bottom and work my way up. 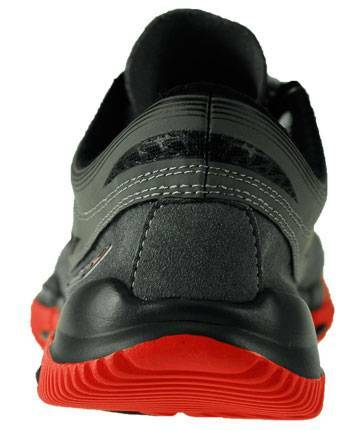 The sole is made of a grid of pods of Resalyte with carbon rubber inserts at strategic wear points. I had an initial concern with the lack of a rubber insert at the lateral forefoot, but so far I haven't had any more wear in this area than any other area. In fact, the Resalyte seems to be holding up extremely well -- better than the material in the Saucony Kinvara, especially in the same area. I did have some concerns about the nature of the space between the pods -- they go all the way through to the footbed. I've taken the shoes off-road, and these gaps do pick up small rocks. I didn't notice the rocks until I got back on the road, and they pick out quickly. On the road, I haven't had any of these issues. I have noticed that when I'm running in wet grass or mossy areas, they do soak up some water (strangely also not an issue on pavement), but they also drain very quickly. I like minimalist shoes, but I don't like to feel like I'm running almost barefoot on pavement. The Merrell Trail Glove is a great shoe, but it doesn't have enough cushion for me on the road. And I don't like built-up heels. My shoe rotation has nothing with more than 4mm of drop from the heel to the forefoot. The Go Bionic is zero drop, thanks to the undercut heel (much like the Go Run and the New Balance Minimus Road). This undercut heel makes for a very nice transition from the mid- or fore-foot landing to the full foot loading. With the Go Run, the undercut heel made it feel very strange when standing or walking. You get much less of the strange feel with the Go Bionic, and like the Go Run, that feel completely disappears once you start running. What you do feel is the total compliance of the shoe. Or more appropriately you DON'T feel the shoe restricting your movement. VERY flexible. Moving up, the upper is made to complement a bare foot. Flexible, roomy, and well ventilated. 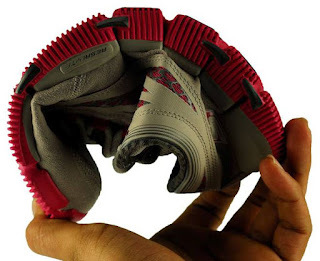 The entire interior of the rearfoot is made with a single piece of material wrapped around the heel. Very comfy and smooth. The heel structure is also one of the great features of this shoe. As in there really isn't any. No heel counter, just like the Go Run and the Nike Free. This mean the shoe doesn't try to dictate the foot motion. Along with that is the bonus that the heel tab doesn't dig into the achilles tendon, causing blisters -- it moves with your foot. The midfoot hugs well, with no tight spots or binding, no wrinkles... The hallmark of good construction is that the shoe essentially disappears on the foot in this area, and the Go Bionic shines. The toe box is one of the features I'm most excited about. It's wide! And not just wide, but rounded and foot shaped. Roomy. I wish more shoes were made on a similar last. This one design aspect is critical to me. My foot isn't wide, as I found out when measuring the actual width. But my toes splay out enough that I've gone to wide shoes more often than not, just so that my toes don't get squeezed together. The toe box on the Go Bionic is one of few where I don't feel the shoe upper pushing against any of my toes -- they're free to wiggle and splay. Gushing on about this one feature, you'd think that I appreciate the thought that went into making a last of this shape. You'd be right! Beyond words. Ventilation is good with the mesh over the forefoot. I've never felt that my feet are getting that "hot and slimy" feeling that can happen in some shoes, even ones that are touted to be "barefoot friendly". The lacing is traditional, and adjusts very well to accommodate different tension zones. The tongue is sewn in like the Go Run, so there are fewer areas for dirt and debris to enter the shoe. So what changed between the shoes I've been testing and the production shoes? Skechers added a removable sockliner. They wanted to give the runner with sensitive feet the option to put this in if feeling the edges of the sole pods was an issue. I haven't felt the edges of the sole pods myself, or at least noticed them to be anything of concern. You can make up your own mind. The laces are 1mm smaller in diameter. Again, I haven't had any issues with the laces as provided (though they could be a little shorter and be just fine). They've said the thinner laces provide a better feel. Hmmmm... Better? Then that's probably pretty good! Sheckers made the rubber pods in the outsole slightly softer. These are the areas of carbon rubber in the sole to help with wear. Apparently some users thought they made hard points in the shoe (not something I found to be an issue). Making them softer will make for a more continuous feel. Skechers is now using a Kaoke thread along the sockbed. This soft thread is used in undergarments and apparel. I mostly have been wearing socks when I run, and when I'm home, I kick off my shoes and go barefoot as much as possible. So maybe my soles are a little tougher than others. In any case, though I did feel the seams, I never had any rubbing or blister problems. Skechers also moved a seam at the base of the big toe back, as one tester received a blister on his big toe from rubbing the seam, so this is no longer a concern. Also, using the optional sockliner would completely eliminate this concern. The price point set for this model is just under $90 - still at the low end of the spectrum for minimalist shoes. I've heard many people say they'd never consider a Skechers shoe after the Shape-Ups. Well, all I can say to them is that they'd probably never get anywhere in life if they were judged on their own past as harshly as they're judging this company on one shoe line. The GoBionic is a serious running shoe, purpose built, and firmly grasping mid- and fore-foot landing natural running form (in spite of the woman in their literature shown in an extreme overstriding gait). I say give the shoes a try and let them stand on their own merits. I was very impressed with the Skechers Go Run when I first picked them up and put them on my feet. I was even more impressed with the test samples of the Go Bionic. Light weight, zero drop, cushioned (but not marshmallow soft), roomy, flexible. As is, Skechers has another winner on their hands. With the improvements made form these pre-production samples, even more so. The only bad thing about these shoes? That we'll have to wait until July to see them on the store shelves. Do I really have to send the samples back? Hey Stephen -- shoot me an email at briderdt at yahoo.com and I'll get you in touch. I just recently found out about the Skechers line of running shoes. I have to say that I'm very interested in where they're going and I have read all the reviews that can be read on the GO line of shoes. I have been running for many years about 16+ years. I am now 25 (I started running at a very young age) and took a little break but now I am back into to the fullest extent. I am currently training for 2 half marathons and a 10k that all will be occurring within the next 3 months. I have always been a skeptical in trying any other brand other than Adidas because they have always done a good job of supporting my feet (Nike and Asics have always given me heal pain). But as of late I have noticed the advancements made in running shoe technology and I recently started trying different types of shoes. I have to say that I'm quite surprised at what I have been missing out on. With all that said, I am intrigued by the shoe testing that I hear so much about and would love the opportunity to try it out if possible. And as me being a fan of all things "up and coming" I feel that Skechers would be an excellent place for me to start. I know this article is a few months old at this point but I am hoping that I still get a response. Is there any way that you I could be put in touch with Skechers about this? @iKingston -- Send me an email. Thanl you for the review of these shoes. I just started running 6 weeks ago and I really am finding that I like minimalist shoes. 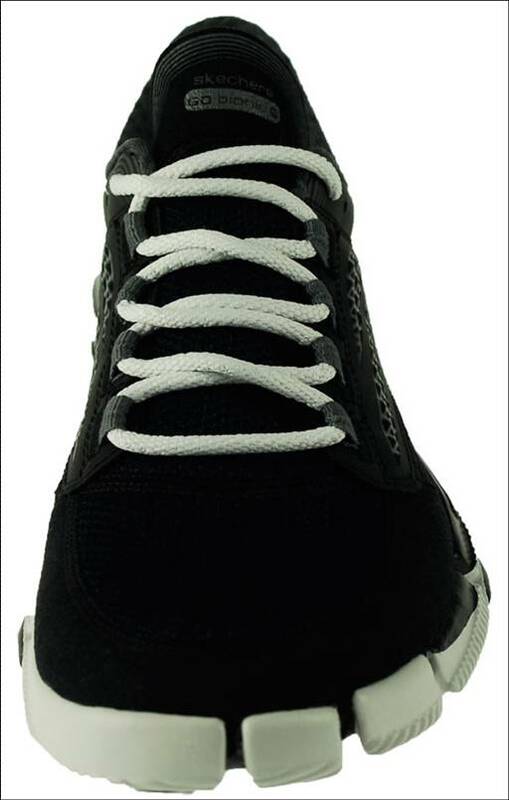 I have brooks pure flow now and I am researching for a more minimalist pair. I think these are it especially with the wide toe box. I wish I had a pair now!!! I worked is sporting goods development before and ran trials of products. I wish I could get on the other side like you. Keep up the good work. Thanks for the review. I bought 2 pair of Skechers GoRun back in January. I never heard of Skechers but the first time I felt them and put them on I liked them. I have been running for over thirty years and have run over 30 marathons as well as a number of ultras. I have had no problems with the GoRun. 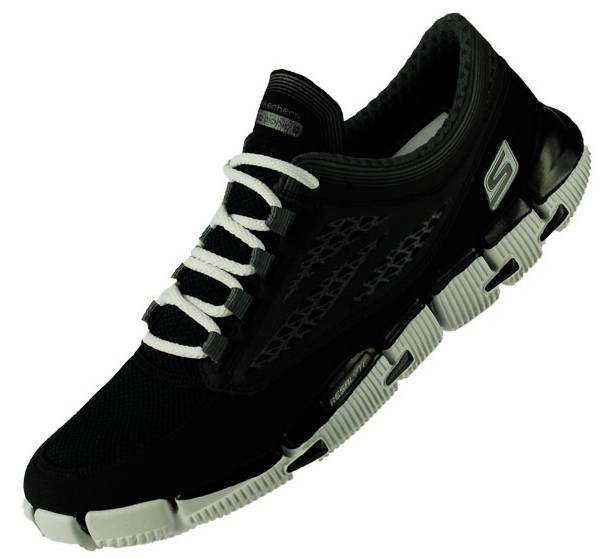 I recently saw the new Skechers GoRunRide and have just started running in them. Today I ran 25km in them with no problems. I am training for another marathon this fall. 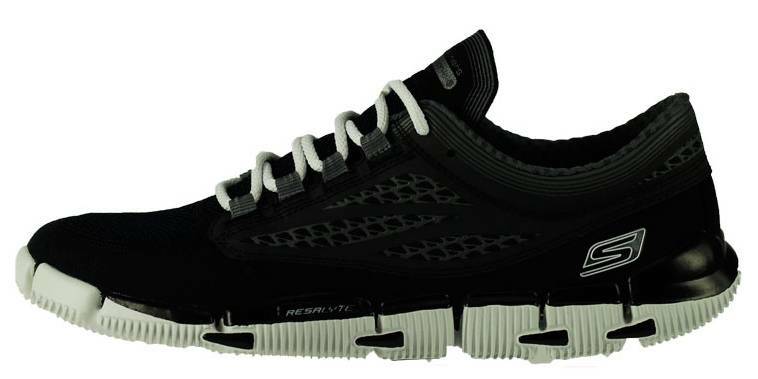 I look forward to getting the Skechers Bionic when they become available. Great review. I'm a runner that has began doing triathlons and I've been interested in the Skechers line for sock-less running. Any insights on that area on the Bionics? Thinking more for 5k/10k distances. Thanks. Hey Tim! I haven't done much mileage in the Go Bionic sockless. I've got a tri coming up in a couple weeks, and I'm contemplating between these and another developmental pair from Skechers for that event. Like any shoe, sockless running takes some adaptation, even if you're used to running sockless -- every particular pair of shoes has its unique points of friction. I do like the rearfoot construction, and think that there would be no issues in that area. For 5-10K, it should be good with some build-up.